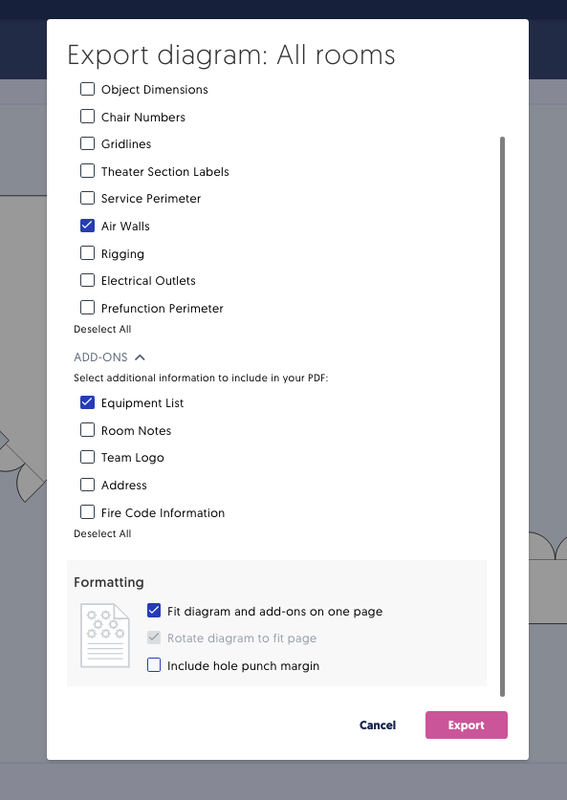 Choose which details you'd like to include in the PDF. This selection defaults to your current view of the diagram (i.e. 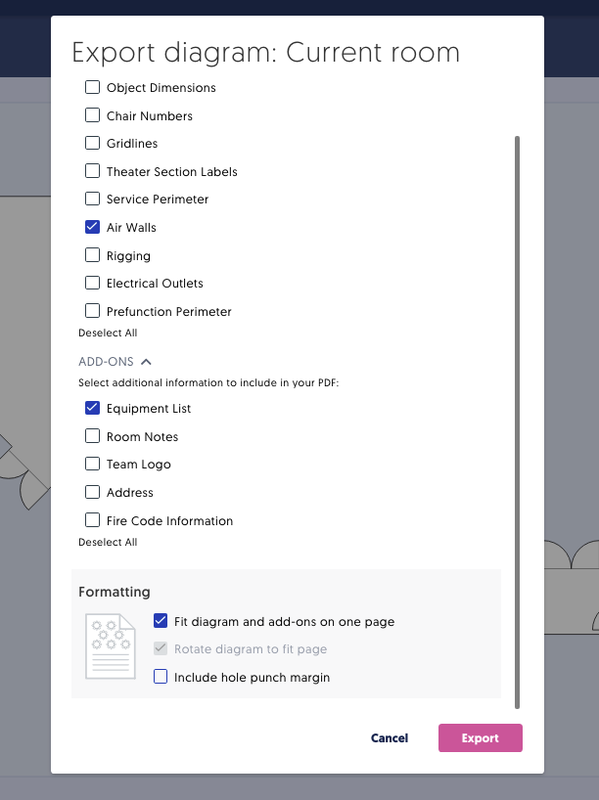 if Air Walls are toggled on in Diagram, they'll be automatically selected in the Export). You will have the option to select and deselect from the menu below which items you would like to view on your diagram. Your diagram will begin to export. 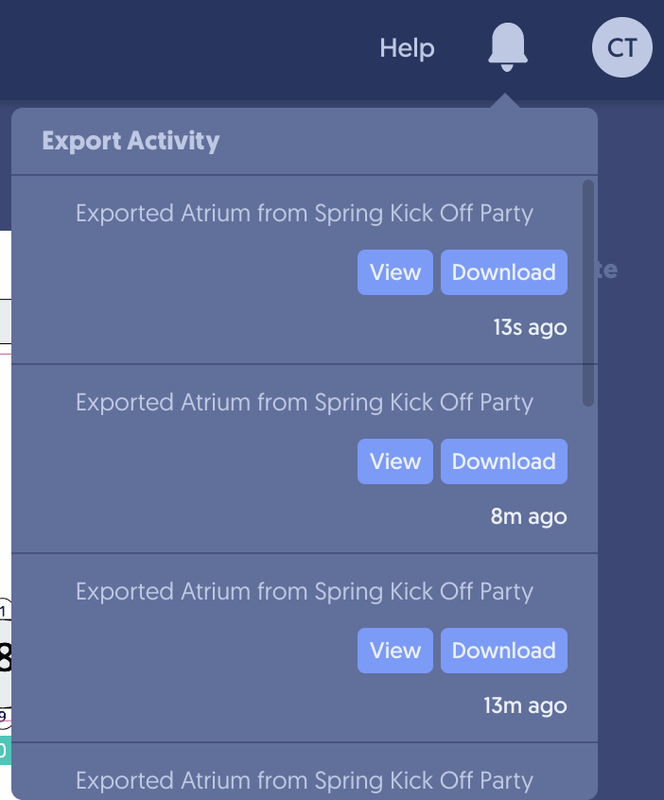 Once complete you will receive a notification to check the Export Bell located in the upper Right-Hand corner. The yellow dot indicates that your exported event is ready. After the PDF is generated, click the bell to see your recently exported events. Choose to View a preview of the PDF in a new browser tab, or Save the PDF to your computer. 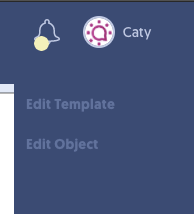 You can click the Export Bell to reference previously exported events. Want to see more?Click Here to View 90 Second Video Tutorialon exporting a PDF!